Mohandas K. Gandhi, popularly known as Mahatma Gandhi is a revered political figure in India because of his advocacy of non-violent struggle for India’s freedom from British rule. As a public figure, he was instrumental in securing the country’s independence from Great Britain through his diplomatic and peaceful approach. 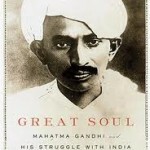 However, a book written by Joseph Lelyveld, the former executive editor of the New york Times and a Pulitzer winning journalist entitled “Great Soul Mahatma Gandhi and His Struggle with India” has touched not only his patriotic exploits but also his most guarded secret of his personal life, particularly his sexual orientation that few Indians have known. The book writes extensively about the close relationship of Mahatma Gandhi with German architect suggesting that the father of Modern India was a bisexual. The book covers of how Gandhi came to his particular social vision, first as a lawyer in South Africa and later as a freedom fighter and how he tried o spread that vision with a mixed results. 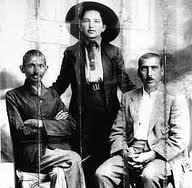 In a review done by Andrew Roberts, a British historian, argued that Ghandi was in love with Hermann Kallenback, the German Jewish architect with whom Gandhi live in Johannesburg. It cited letters from Gandhi to Kallenbach which the former expresses great fondness and yearning for the latter in the letters, telling him that his was the only portrait on Gandhi’s mantelpiece, opposite the bed, that cotton wall and Vaseline were “a constant reminder” of him. The letters were acquired by the National Archives of India in an auction and have been available to scholars; they were sold by descendants of Kallenbach. Ghandi destroyed Kallenbach’s letters to him early on, according to the book. 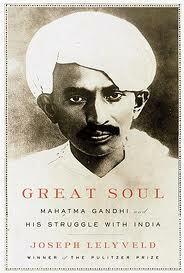 The situation is complicated by the fact that the book is not yet on sale in India and very few people have read it.